Australia is the world's seventh biggest wine-producing country, ranking just below Argentina. It is also the fourth major wine exporting country, sending about two-thirds of its production outside the country. Production has decreased markedly, however, since the rapid decline in the demand for Australian wine, particularly its premium wines, in the U.S. and Britain, which started in 2008. Australian wine developed a serious image problem due to heavy reliance on cheaply priced "brands" led by the ubiquitous Yellow Tail, which sports a stylized wallaby on its label. The huge success of that wine, which accounts for almost half of Australia's sales in the U.S. market, led to many other low-priced "critter" names and labels by competing Aussie producers. Many of Australia's wines were also overhyped with inflated scores in the early years of this century by then leading critic Robert Parker. The esteemed dean of Australian wine writing, James Halliday, famously responded in 2005 to Parker's effusive Aussie reviews and high ratings by pointing out that they varied wildly from the results of tastings by Australia's critics and wine show judges. He also referred to the "monstrous red wines so beloved of Robert Parker." When consumers rushed to buy these highly rated wines, they often found they were high alcohol fruit bombs that were virtually impossible to pair with meals and not likely to age very well. Wine connoisseurs in the U.S. and the U.K. precipitously stopped buying Aussie wines, causing the value of Oz imports here to drop by 23 percent in 2008 alone. As bottles of Australian wine proceeded to disappear from retailers shelves, cheap bulk wine sales took up the slack. By 2012, Australia was shipping 49 percent of its total wine exports in bulk, compared with only 13 percent 10 years earlier. Severe weather conditions in the last several years have also hampered production. Meanwhile, the high value of the Australian dollar especially against the falling Euro has led to decreasing prices and increasing sales for fine European wines Down Under, further weakening demand for Aussie wine even on its home turf. Despite these setbacks, Australia has a lot going for it as a producer of fine wines. The country is home to what may be the world's greatest wine scientific research organization -- the Australian Wine Research Institute, or AWRI, which is funded by the Australian wine industry. The country has lots of talented winemakers, many of whom work not only in Australia but also travel to consult and assist with harvest in other wine-producing regions in Australia's off-season. They have some great old vine plantings, especially of Syrah (known in Australia as Shiraz) and Grenache. They also have a culture of innovation, and are responsible for important recent developments in the wine world, such as the careful control of the amount of light and shade received by grapes due to the shielding effect of the grape leaves, a practice known as canopy management. The national government wine agency, Wine Australia, has formulated a strategy to rebrand and improve the global position of Australian wines by putting a renewed emphasis on quality, diversity and value. Toward this end, they have launched a series of education and engagement programs aimed at convincing opinion leaders and consumers in key markets there is "more to discover about Australian wine." The hope is that once the European and U.S. currencies regain strength against the Australian dollar, Australian wines will have generated new interest to attract sales especially at the artisanal and premium wine levels. A direct manifestation of this new campaign was the appearance in San Francisco last month of the first major tasting here of Australian wines for the media and trade since 2007. The program included seminars and appearances by a number of small production winemakers who have developed a strong reputation for quality within Australia. The event, held at San Francisco's Farallon Restaurant, was packed with curious attendees wondering just what is going on with wine in an important region that had essentially fallen off our radar here in the last five years. 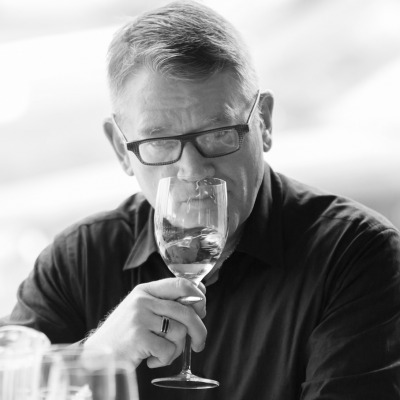 I was fortunate to get counsel from one of the U.S.'s top experts on Australian wine, J.J. Buckley's Chuck Hayward, on what to focus on amongst the 200 wines being poured during the limited three-hour period for tasting. In all, I managed to sample a total of 88 wines from 46 different producers. The event's organizers really did put the country's best foot forward, featuring a diverse and interesting collection of wines that have a relatively long tradition Down Under, but that are rarely seen here, liked aged Semillons and dry Rieslings. Andrew Thomas and Brokenwood are two top producers of Semillion, and I was particularly impressed by an aromatic, lemon oil scented 2005 Brokenwood Reserve bottling. Petaluma was the producer of the best Riesling I tasted at the event, a delicious single vineyard bottling from South Australia's Clare Valley. Chardonnay is the most widely grown white grape in Australia, and there were many appealing examples being poured, from producers such as Bindi, BK, Giant Steps, Henschke, Petaluma and Vasse Felix. Another revelation of the tasting were a few very characterful Aussie Pinot Noirs. I had previously tried several vintages of Pinot Noir from Bindi, a longtime specialist in the varietal, and their 2008 Block 5 was a strong offering, with scents of roses and tart red fruit. I had never heard of BK Wines, however, which made two fascinating, delicious, cool climate Pinots poured at Farallon: a 2011 from Gower Vineyard and a 2012 from Adelaide Hills called Skin n Bones. Cabernet Sauvignon is Australia's second most widely planted red grape, after Shiraz, and there were strong examples from First Drop and Vasse Felix, along with a very good Bordeaux blend from Moss Wood called Amy's. The aforementioned old vine Grenache was put to flavorful effect in a couple of bottlings that really got my attention -- a 2012 Ochota Barrels The Fugazi, which was produced using no new oak, and the top wine for me of the entire tasting, the 2011 Noon Eclipse. The Noon had been one of those intense, richly fruited wines highly rated by Parker in the last decade, but this sample was much more complex and intriguing than I remembered from those earlier vintages. It's a blend of 81 percent old vine Grenache, 13 percent old vine Shiraz and 6% Graciano. Of course there were also some excellent Shirazes, Australia's most widely planted grape. The best for me at this tasting were the 2010 BK Wines CULT, the 2009 Henschke Euphonium Keyneton (a Shiraz blend), 2009 Holme Estate, 2009 Rusden Black Guts and a very unusual, intentionally oxidative 2010 "Syrah" from Sami-Odi called Hoffmann Dallwitz 0.534. All in all, this was an exciting sampling that included many characterful and intensely flavored but balanced wines. Wines like those from BK Wines, First Drop, Ochota Barrels and Sami-Odi had singular and distinct "voices" that made me want to hear a lot more from those producers. Judging not only from my reaction but the general buzz in the room and discussions with colleagues afterwards, I think this event went a long way toward initiating the process of rebranding Aussie wines in this country. Although the strength of the Australian dollar is likely to keep the more artisanal offerings from being particularly good values here in the near term, I think the uniqueness and high quality of some of these wines is going to get them some strong attention here. It may take several years to turn around Australia's reputation as being a source mainly of cheap and simple "critter" wines, but greater exposure for the kinds of wines highlighted at this event should definitely help the country regain its reputation for producing high quality wines. For my tasting notes and scores on all 88 wines I sampled at this event, see the complete report on my blog here.